For 15 years, a revolving group of committed individuals has taken the time to plan, create, and execute one of the most fabulous goth nights of the year. 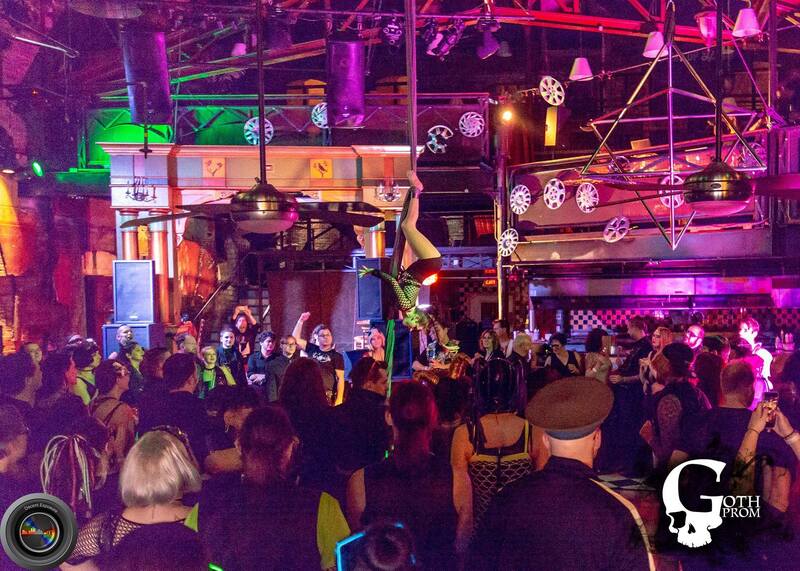 The committee behind Goth Prom has changed over the past decade and a half, but its members work tirelessly to bring the community the best possible event despite encountering scheduling conflicts and venue issues. 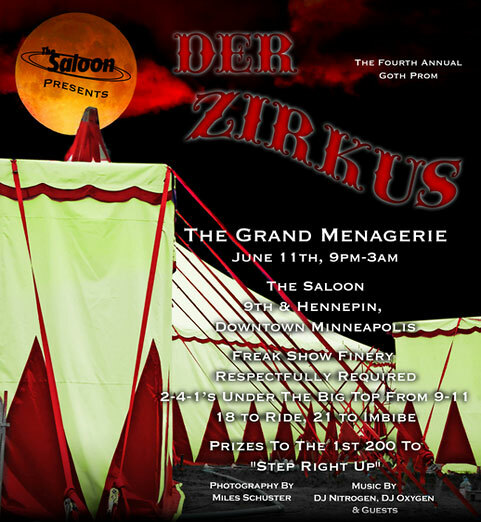 This year, prom was moved from its long-standing venue, downtown Minneapolis’s the Saloon, over to the Loring Bar and Restaurant in Dinkytown on short notice, and despite the last-minute venue swap the event was a beautiful success. With two floors, multiple bars, wonderful acts from the Forbidden Bazaar, and separate rooms for differing vibes of music, July 2018’s Goth Prom was certainly a highlight. 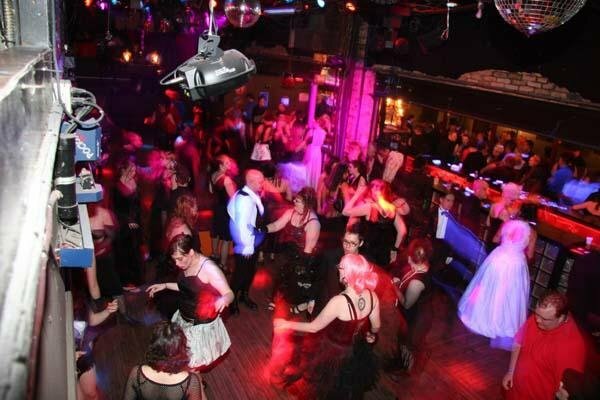 Beginning in 2004 with a theme of Danse Macabre, Goth Prom set itself apart from the typical Hard Mondays dance night that it was associated with and chose instead to give the goth community the opportunity to go back in time, dress to impress, or, for some, show off epically bad prom dresses found at thrift stores. Many within the goth subculture have been considered outcasts to some degree, and Goth Prom gave people the chance to relive a high-school event they may have skipped or regretted in the past and to do it in a way set to music they love while also providing a portion of the proceeds to various charities. The first Goth Prom was successful enough that its founders chose to continue it for another year—and another, and another. While the people involved have changed over the years, they have always succeeded in providing a spectacular event. Current prom committee member Petey Penguino got involved with Goth Prom for the 2010 circus-themed event when Nicole Toth chose to step down and hand the reins to Alice Gray Marks and a number of others. They worked to provide a spectacular event with a great deal of circus-themed elements, such as red-and-white tenting and a barker box to collect and sell tickets. While Toth and Marks are no longer part of the committee, Penguino is still involved and works hard to do research into whatever theme is chosen for a given year. She says, “I research something related to the theme—Mayan hieroglyphs, corals and deep-sea creatures, the history of forensic sciences, whatever it is. It keeps my brain in shape.” That level of commitment to details shines through at each event, and whether it is as obvious as Der Zirkus or as subtle as this year’s Cyberia cyberpunk motif, there is always something that ties into the theme and makes the event just a bit more engaging than your average party. For this year’s event there were a number of LED hubcaps and other electronic or dystopian aspects strategically placed around the venue. It was interesting to experience Goth Prom for the first time in a new location, and while there is not a great deal of information on why the event moved from the Saloon, its home for 14 years, the Loring more than made up for the loss with a beautiful venue that impressed even without a great deal of additional artistry. With year 15 at a close, there is now the planning for the event’s sweet 16 in 2019, and with such amazing themes already behind us, I for one cannot wait to find out what they have planned for it. According to Penguino, “We will start the planning process in January. We might be putting together some more parties besides”—and they are always looking for more input and more helpers to pull off an event such as this. The Elysium Society meetups, such as GothiCoffee, are a great way to meet the people involved and to work to put on the annual bash. Despite the ups and downs of this year, everything went off in a darkly beautiful way. Goth Prom intends to return to its original May time frame next year and hopes to return to the Loring. More details about the next event will follow once planning begins. Note: This article was updated on August 18, 2018, to correct inadvertent factual errors regarding Goth Prom’s timeline and history.